Special Note(s): Cavity is labeled model no. 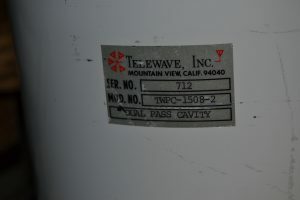 TWPC-1508-2; however, that is the model number for a set of dual bandpass cavities. 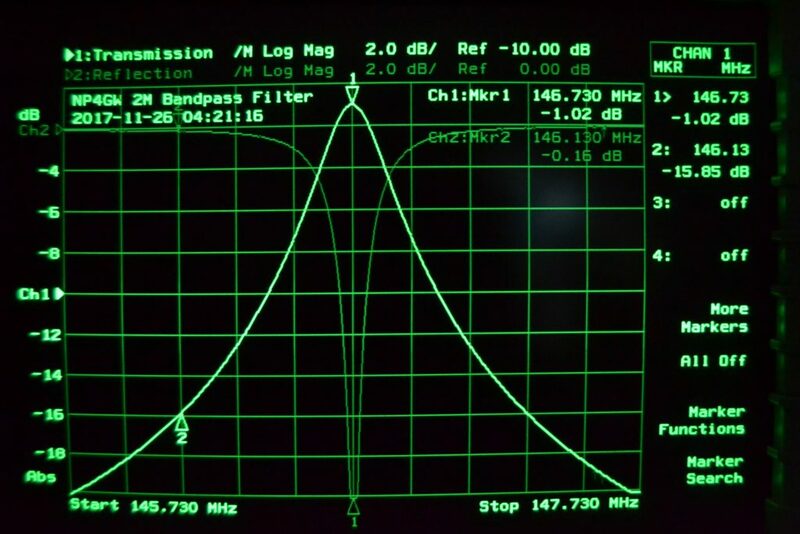 As a single cavity, this is technically speaking now a model TWPC-1508-1 (single cavity bandpass filter), thus the specs must be compared to the model TWPC-1508-1. 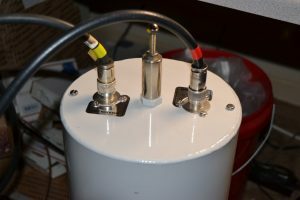 This cavity is designed and manufactured for use in the 148-174 MHz range, so performance just slightly below factory specifications would not indicate problems with the cavity; however, after slightly adjusting the coupling loops to an Insertion Loss of 1 dB and retuning, the cavity shows excellent performance on testing. 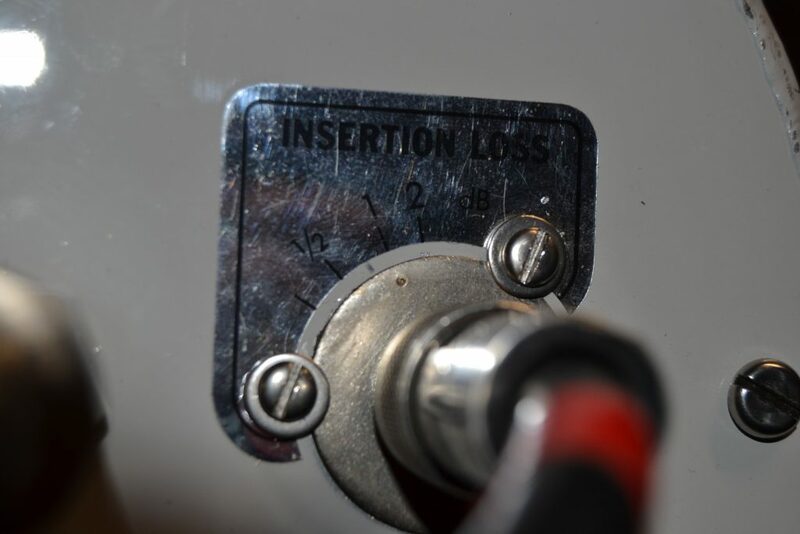 As tuned (1.02 dB Insertion Loss) this cavity is rated for up to 250 Watts of RF power. 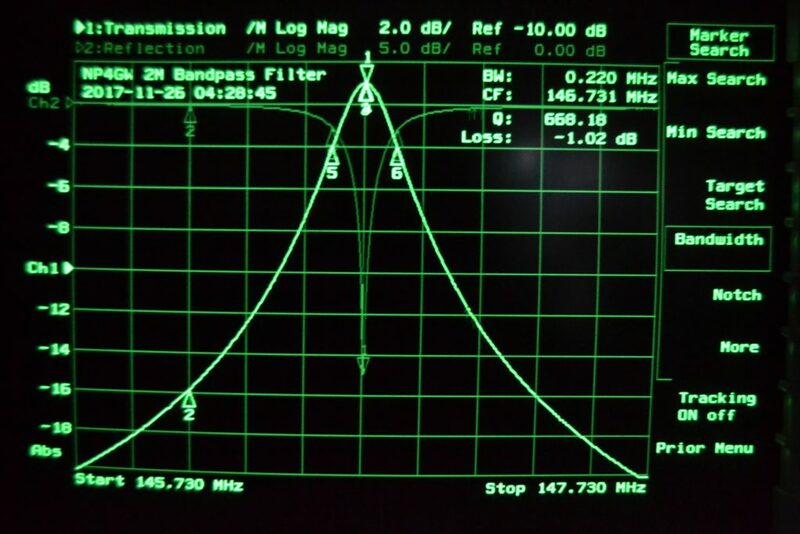 Since it is will be used on the receive side of the client’s repeater, power handling capability will not present any issue. Cavity is ready to repackage and ship back to its owner. 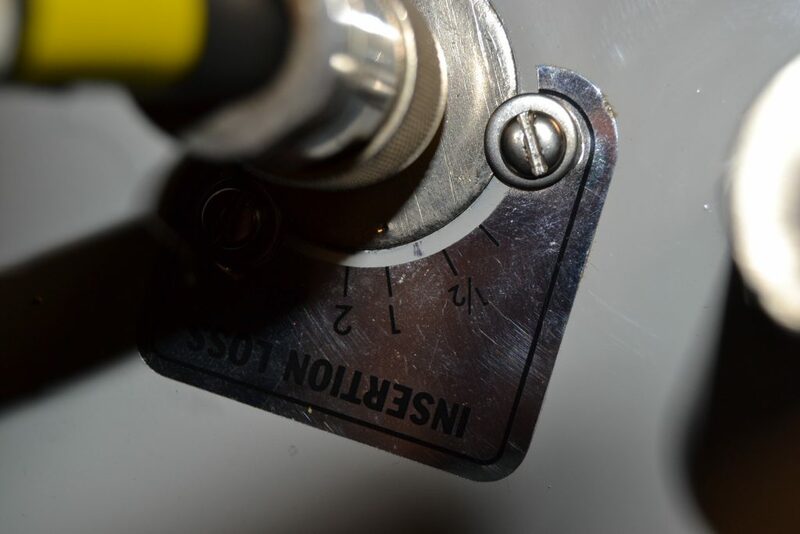 In the photos below, if you look very closely you will see a light pen mark between the alignment dot on each coupling loop and the Insertion Loss reference scale. 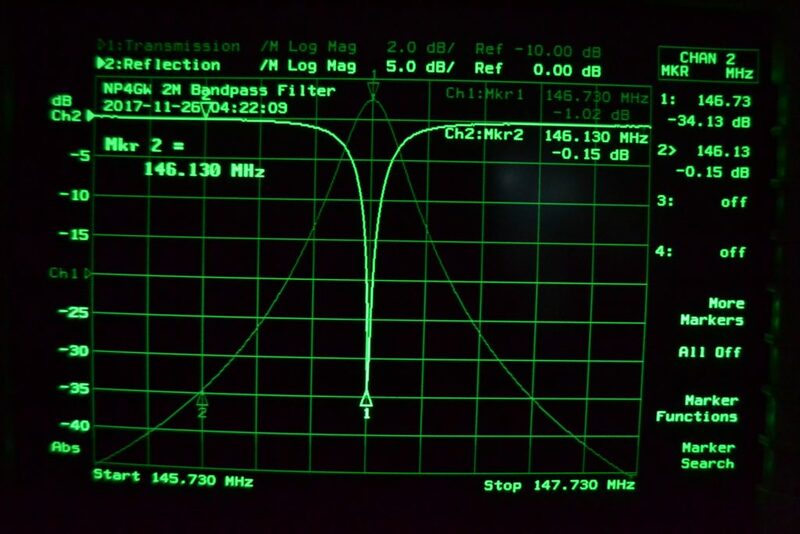 Realigning both coupling loops to the 1 dB position resulted in better than factory specification performance, even though the cavity is now tuned to operate slightly below factory spec frequencies.